The Sight and Sound Theatre in Branson has amazed audiences with its spectacular and inspirational productions such as Noah - the Musical, Miracle of Christmas, Joseph, and most recently Jonah, which holds its last Branson performance on December 31, 2015. 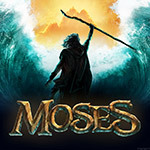 "When I saw Noah the Musical, I wondered how they would be able to top it, but it seems as if each new show just gets more spectacular," said Annette Wood, the Director of Sales and Marketing for the Branson Tourism Center. "When I heard that Jonah's last performance was on December 31st and that Moses would be starting in 2016, I thought, 'How do you top Jonah?'" Read entire article here. 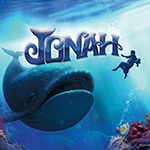 It's the last season for Jonah; you simply can't miss it! To make a Branson visit easier for you, we've prepared a special savings package. For as little as $329, see Jonah, get a dining certificate good at Branson's best eateries and a Branson Guest Card Savings Book full of great deals, and stay at the beautiful Radisson or Grand Plaza Hotel. 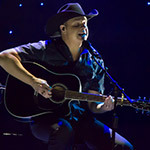 Add a night, and add a show from Grand Country's long-running favorites; Grand Jubilee, Comedy Jamboree, Amazing Pets, Down Home Country, Ozark Mountain Jubilee, or New South Gospel. Jonah is an epic adventure; see if before it's too late! View package here. "Branson, Missouri has some of the best singers, dancers, musicians, comedians, magicians, and entertainers in the world presenting a variety of live shows and entertainment that is virtually unrivaled in any other tourist destination," said Annette Wood, the Director of Sales and Marketing for the Branson Tourism Center (BTC), one of Branson's largest and most respected vacation planning services, and sellers of over 4.5 million Branson show and attraction tickets. "BTC's Featured Show of the Week spotlights one outstanding example of Branson's live entertainment from its list of Most Popular Shows," she added. Read entire article here. 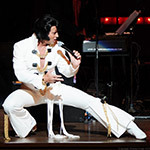 "Another example of how, from Michael Jackson to Taylor Swift, from The Blues Brothers to Elvis, and many other exciting artists, The Legends in Concert show constantly offers their audiences something new, exciting, and fresh," said Annette Wood, the Director of Sales and Marketing for the Branson Tourism Center. Wood's comment related to the September 9 announcement by Legends in Concert of the new fall lineup that will be appearing in the show September 10 through October 31. No other destination exemplifies "remembering and honoring our nation's heroes" quite like Branson. To make it simple and affordable to be here during Veterans Week, this special package has been created. For as little as $309, get lodging at "top choice" properties; Barrington Hotel & Suites, Baymont Inn & Suites, or Days Inn. 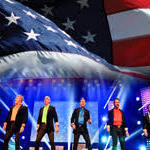 Enjoy two shows performed by families who honor veterans with love and sincere reverence; a cappella kings - SIX - and the sensational family known as the Bretts. A Gourmet Branson Basket and Guest Card Savings Book are also included. View package here. "It is highly unlikely that any other travel destination offers the selection, quantity, quality, and spirit of Christmas shows that Branson offers," said Annette Wood, the Director of Sales and Marketing for the Branson Tourism Center. "All year long, Branson's shows sparkle with that unique Branson spirit, but they just glow in an extra special way as most celebrate Christmas, and 'the reason for the season,' with their audiences in a very unique and personal way," she added. Read entire article here. How about teeing off on a golf getaway in Branson? 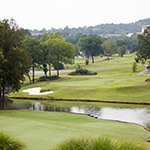 "The choice and variety of quality golf courses Branson has to offer makes it a great golf destination, whether it's for a week or a weekend getaway," said Annette Wood, the Director of Sales and Marketing for the Branson Tourism Center. "The consistent moisture this summer has created a virtual golfer's paradise with lush fairways and greens that are as beautiful to see as they are to play," she added. How many of these October 2015 Branson Highlights would you like to see? 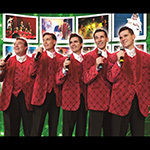 "During the month of October, Branson's shows aren't the only live entertainment in town. Mother Nature will be putting on a pretty special show of her own as she paints the Ozark Mountains with beautiful fall colors," said Annette Wood, the Director of Sales and Marketing for the Branson Tourism Center. "What a beautiful compliment to the live entertainment, attractions, shopping, and other activities that Branson offers," she added.